This week’s Free Crudoodle Digital Stamp is a colored version of Flora. 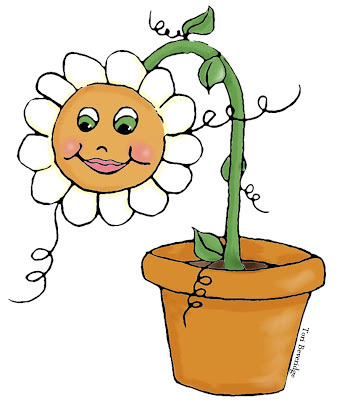 I colored Flora today to use in a badge that I have created for the artists who have been featured in my Friday Art Feature. 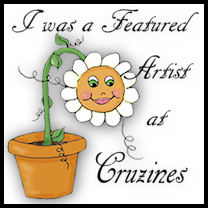 Flora, free Crudoodle Digital Stamp used in “I was a featured artist at Cruzines” badge. I thought Flora was so cute colored that I decided to share her today instead of what I had planned. You can still find the black and white version of Flora HERE if you haven’t picked her up yet and would rather color her yourself. To save the colored version of Flora to your computer, click on the preview above to open the full size image. Right click on the picture, and save to your computer. I’d love to see what you make with this week’s Crudoodle. Feel free to send me a link to your creation, or leave a link in the comments. I will feature them. Be sure to follow this blog, for more Crudoodles. All Crudoodles are copyright to Tori Beveridge. All freebie Crudoodles are for personal use, in your own personal creations ONLY. You may not make commercial products with Crudoodles and sell them. This includes for example, products on Zazzle and similar stores and clear and rubber stamps. Crudoodles are not to be included in CDs for sale or in stamp swaps. It is not necessary to give credit, but if you do that would be nice. Please do not share the file with others. You may link back to this blog. You may pin this blog. You may not claim Crudoodles images to be your own. Posted in Tori Beveridge and tagged art, card making, Crudoodle, Crudoodles, Cruzines, digi stamp, digital stamps, doodle, paper crafts, scrapbooking. Thank you so much for this post. I want to let you know that I posted a link to your blog in CBH Digital Scrapbooking Freebies (please, notice the new url for my blog), under the Page 7 post on Jul. 25, 2012. Thanks again.